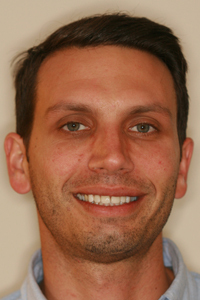 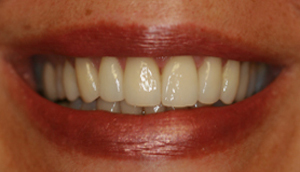 View smile makeovers from Dr. Arash Azarbal. 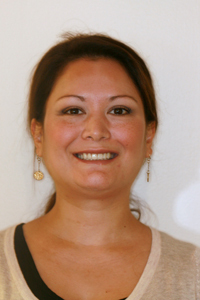 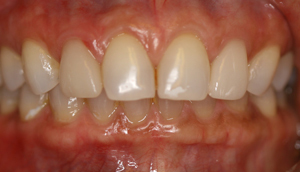 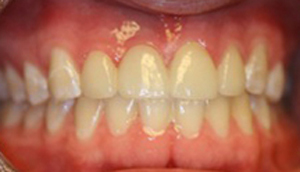 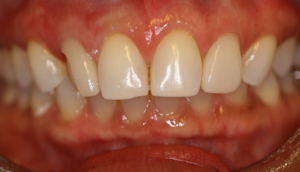 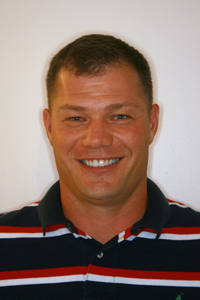 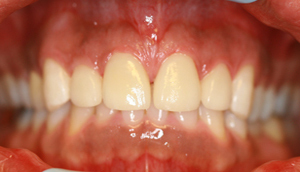 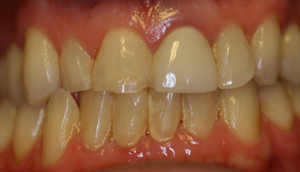 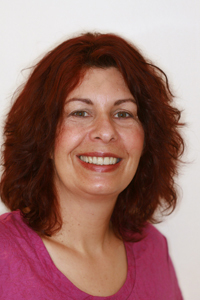 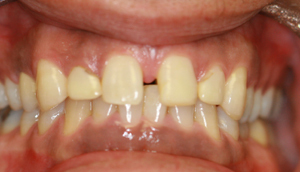 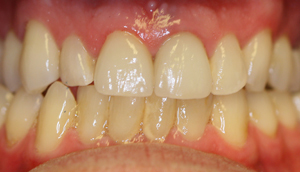 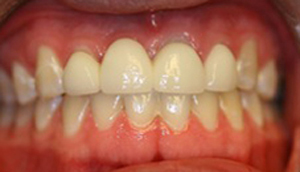 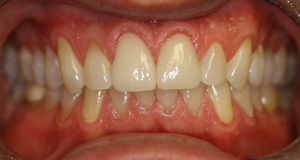 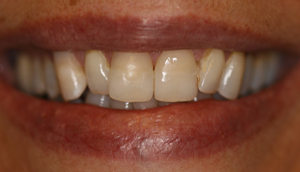 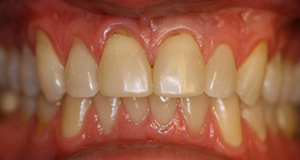 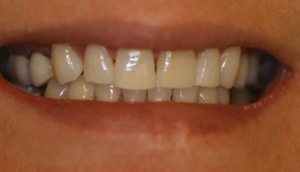 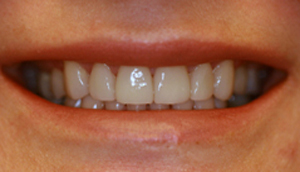 Porcelain veneers were used to reduce this patient’s gaps. 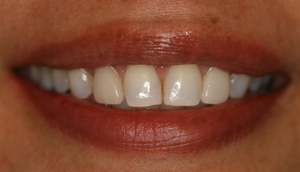 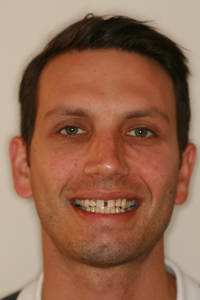 Old bonding/veneers were replaced with porcelain veneers on the upper front four teeth for a natural, aesthetic gap reduction. 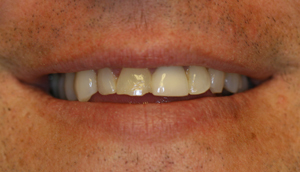 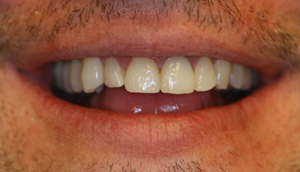 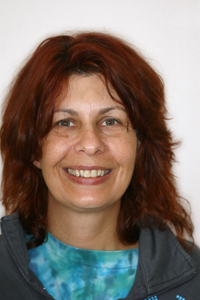 For this patient, a porcelain-fused-to metal-crown was replaced with an all-porcelain crown (right front), and a chipped and broken-down tooth (left front) was restored with a porcelain veneer. 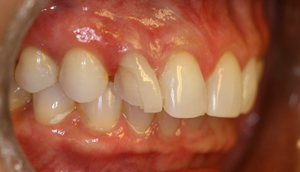 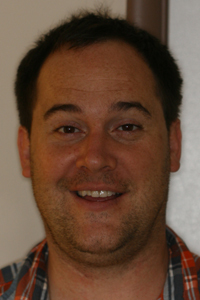 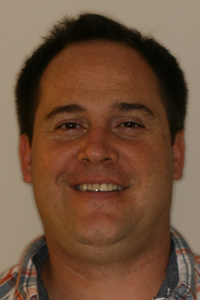 The patient’s existing bridge (on upper front four teeth) was replaced to give him a better fit and an appealing, natural-looking smile.